Tokii helps you stay in touch on a personal level with your significant other, and specializes in facilitating communication during every stage of the relationship. It’s free and private, and can even be fun with features like the mood meter, games and interactive play, and of course you can send messages back and forth. As stated above Tokii is free and you can grab the download from the Play Store link here. Couple, is a great private app for only 2 persons, where you and your partner can join to share your personal videos and pictures, to make a timeline of your worthy moments. You can text each other as well as call from within the app, also you can send voice messages to each other too. Calendar is there too, to set reminders and important dates, also there is to do list which you and your partner can share mutually to get the tasks done in a proper way. Plus there are number of other features which you’ll discover when you’ll use the app yourself. Avocado is another great app for couple. It lets you text your favorite person privately, share pictures with them, set tasks and the built in calendar lets you set reminders for important dates and anniversaries. You can also exchange virtual hugs and kisses with your favorite person via this app. Also, you can create doodles on pictures or on blank canvas, before you share them. Loving is a social app for couples. Stay in touch with that special someone in your life with messages, voice messages, pictures, privately, and for free. Other features like private chat records all your messages and saves them for you two only, as well as the private album with an encryption for your photos. A couple of other cool and unique features are the send distance function which lets you alert them to your location, and the Alarm feature which lets you wake your significant other any where, any time with just one tap. Loving is free and you can grab the download from the Play Store link here. My Darling is another social app for couples. Register your significant other and store intimate and important details like birthdays and anniversary’s,(although you probably shouldn’t rely on the app to remember those two things)and keep the data handy through the homescreen widget which updates periodically. Store personal information for the two of you in the love journal, enter and check important dates in the love calendar, and the app even has support for Android Wear. Any couples out there with matching Moto 360’s? My Darling is free and you can grab the download from the Play Store link here. 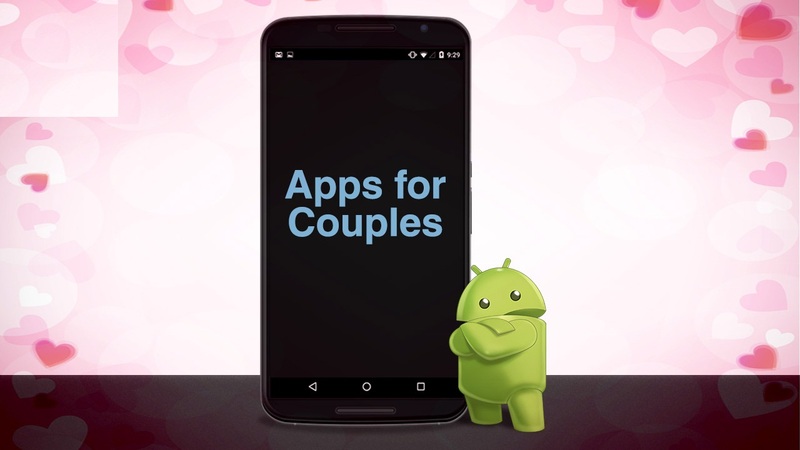 Appy Couple is an app for the couples who are about to get married. It includes all the information about the couple going to marry and the marriage. It’s more like a virtual invitation for the marriage for everyone who owns a compatible device. As you set up the app, you’ll be given a special code which you can distribute in the guests whom you want to invite. A couple can set up all the information in the app, like the events and their timings with dress codes, important people to the bride and groom, they can share their story telling how they met, etc. Everyme is more of private social networking app, where you can stay in touch with your loved ones, including family members, and best friends. Couples can use it too, for private sharing. You can make different groups within the app and select your content to be shared, with particular people or groups. There is a private news feed too where you can see all the stories from your loved ones. Couplete makes you and your special someone feel complete with a special place to share private moments. It features fast private and secure messaging between just the two of you. share messages and photos and express moods with emoticons. Use the Wishlist feature to share real-time syncing to-do lists so you can stay up to date with everything that you want to do with your partner. You can even send love letters with stickers and keep all the best moments using the Story feature. Couplete is free and you can grab the download from the Play Store link here. LokLok is a great way for you and your significant other to send fun messages back and forth. Make sure your message is the first thing they see by sending it using LokLok, and when they receive it they’ll be able to view it the moment they wake their screen. Leaving little notes is just part of it, you can leave little drawings and sketches too. It’s a great way to keep in touch with quick little messages and just generally letting your partner know how you feel. LokLok: Connected Lock Screen is free and you can grab the download from the Play Store link here. Wunderlist is great for sharing ideas, to-do lists, grocery lists and anything else you and your partner find important with each other. Real-time sync instantly updates your lists no matter where you are, and you can share them even simpler than before. Once you have a to-do list setup, you can communicate with the people you have shared it with by leaving comments. One of the best features is that you can set reminders for your lists so you never forget important deadlines. Wunderlist is free and you can grab the download from the Play Store link here.